 barriepest@gmail.com  Follow us! Peace of Mind is a Treasure; We Will Deliver it. pest control barrie provides affordable expert Pest control services. Pest Control Barrie ensures complete satisfaction through our unique and customized approaches to effective and reliable pest control services. We make sure the job is done right, the first time. We understand that sometimes it's not just pests that are crawling on the floors but our most precious ones of all. We use safe, reliable and environmentally friendly methods to ensure the safety of your loved ones. 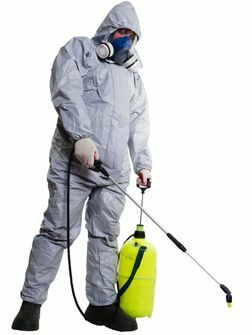 Pest Control BARRIE exterminators are well trained and have right expertise and equipment to deal with any kind of pest control. We utilize safe, effective methods when carrying out pest control service. Your home, business and family are important, and may well be the biggest investment you ever make. 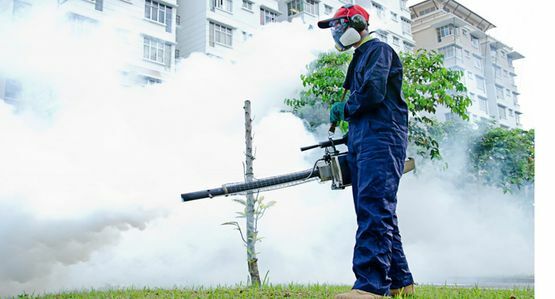 Pest Control Barrie provides a discreet personal service to protect your home or business premises from the destructive activity of rodents, ants, bedbugs, spiders, cockroaches or any other flying and crawling pests, using the safest chemicals available. We use only proven materials ensuring compliance with the appropriate Canadian standards code. We offer free estimates including recommendations on treatment and preventative measures to deal with any unwanted pests. We also do general spray and fogging service to maintain desirable hygienic environment. we are Available 7 DAYS A WEEK IN barrie & GREATER TORONTO AREA. we arrive in UNMARKED VEHICLES AND ensure 100% ELIMINATION GUARANTEED. There has been a huge increase of rodents in the city of Barrie in recent years. These crazy creatures need two things; food and shelter, and they will wander into homes and businesses searching for it . If they achieve both in any location, it will create an ideal environment for them to live and reproduce. Get in touch with pest control if you notice any evidence of rodents to avoid a continued issue. Ants are social insects which live in colonies. By nature they are important predators and scavengers which contribute to the recycling of nutrients to the soil, however in domestic or industrial situations they can be quite the nuisance and will nest behind the kitchen counters, washrooms, laundry rooms, behind wall cavities, and under the baseboards. Some species nest in soil, amongst rocks and in decaying timber. Most ants do not cause problems, but are considered pests due to their unwelcome presence. Warm temperatures play a significant role in their prominence. To avoid ants, maintaining good hygienic conditions is very important. Kitchen and dining areas should be kept clean and free of food particles and waste. Pets feeding areas and foods leftovers should be cleaned up immediately. Decaying timber out in the back yards provide nesting sites too, and should be removed. Any persistent ant infestations in homes and commercial buildngs should be treated by hiring a professional pest controller. Bedbugs are an explosive problem in the city of Barrie. Initially it was believed that bedbugs were not carriers of disease, however experts have more recently discovered that the bugs can transmit a parasite that may cause serious heart and digestive problems. Bed bugs are not a DIY pest problem and require professional extermination services. If you do find bedbugs in your home, please seek extermination services and advice immediately. Wasps are active in the summer months and are very aggressive, particularly when they feel their nests are in danger. Their nests are formed under tree branches and the eaves of houses, and are shaped like inverted cones. Some wasp make nesting in brick holes and sidings of the roof. They cause painful stings. It is recommended you be in touch with a professional pest control service to remove a wasp nest. Additionally, medical attention should be sought immediately if an individual is stung and is either known to be allergic to wasp venom, or appears to be experiencing allergic reactions. Pest Control Barrie provides a discreet personal service to protect your home or business premises from the destructive activity of all pests. Safeguarding our customers’ best interests with the highest standards of ethics and integrity – at all times. Delivering superior quality and reliability. Offering innovative solutions for solving problems and meeting individual customer needs. Setting goals and achieving performance standards that exceed our industry peers.